The Top 5 Exercise Excuses and How to Push Back! If you watch television, you have the time. You can use resistance bands for strength training or walk in place while you’re enjoying your favorite television show! Working out increases your energy. Additionally, when you exercise you are charging your “feel-good” hormones, not to mention stimulating your circulation. Not to worry…take the kids to a playground to play. While they are playing you can walk around the playground or jump rope while you watch them play. Some other ideas…you can take a family bike ride together or play active video game. When you’re fit and healthy, the entire family benefits. First of all…Exercising is a state of mind. You must find an activity that you love and makes you feel like you can conquer the world. Trust me, there is an exercise for everyone! At MVP Transformation Fitness, we work hard to identify your fitness strengths and weaknesses. It’s likely to never be boring by optimizing on those areas you already best enjoy. On the other hand, we think by challenging yourself regarding the activities or exercises you may not find as appealing, you may learn to love them too. Having a workout partner can make this process a whole lot of fun! Bring your significant other or a bestie to join in on the fun! Typically, people set high expectations or goals that are unrealistic when attempting a new health and fitness regimen. You must set small and realistic goals. 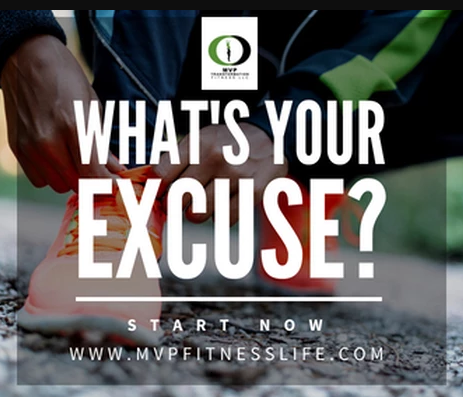 At MVP Transformation Fitness, we help you develop a plan that is realistic and flexible so that you can crush your goals without worry. Our goal is to ensure that you are successful each day you step foot into the gym! No more confusion, frustration, or holding back. #theweightisover, #instafitness #gymmotivation #cardio #transformation #fitness #fitlife, #RoundRockTexas,#HuttoTex.